On Monday we are all going to make decisions that will affect us in many ways for the next five years. On Monday we will all exercise our civic duty and go to the polling stations and vote. Five years ago when our country went through the trauma of post election violence, I said I would never vote again. Ever since I got my identity card, I have always voted and been really proud of the fact that I get a chance to have a say in my country. My parents have always encouraged my siblings and me to actively participate in bettering the country and while some people were busy going to neighbouring countries and abroad during the election periods in the past, we stuck around and did what we had to. In 2007/ 2008 our country was in tatters because we were left fighting amongst ourselves. I was jolted completely. I remember having to flee from the East FM studio halfway through the breakfast show (our offices were on Baricho Road back then) and when I got to my car, there were two armed army personnel urging me to get into my car and leave as fast as I could. I looked to the left, up the road, and all I remember seeing was an angry mob of people armed with sticks, stones and crude weapons headed in my direction. I was scared, no doubt, but I wept for my country. What had we subjected ourselves to? Thousands of lives were lost, tribal clashes were rampant, and even arguments over a drink about tribe would often lead to a fist-fight. It just boiled down to one thing – the intolerance had been dormant within us. We had never ever faced it to kill it off completely. And now it was rearing its ugly head. I strongly feel the last five years have taught us harsh lessons. It is up to us to make a difference. Those four million voters who, despite being registered the last time and didn’t go to vote, could have made a huge difference to the outcome of the results. They chose to be lazy, for whatever reason and didn’t vote. Not just a negligible amount but over four million people. It annoys me then that it’s these very people who sit crowing and complaining about things not going right in this country. First of all, you lost that right when you didn’t vote. Secondly if all you want to do is complain and not do or say anything about it, at least by voting if nothing else, where do you get the right to speak? Exercise your rights, fulfill your civic duty and go and vote on Monday please. 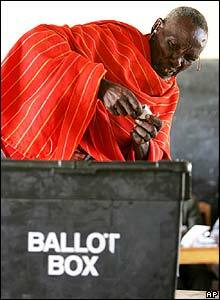 Make a difference because this is our country, our home and we are not greater than Kenya. We will all turn to dust and ash but Kenya will always be there. Monday 4th March is not a public holiday for you to solely trawl on Facebook or Twitter or go to a pub or catch up with relatives and your sleep. You have been given this day off to go and vote and it won’t take you the whole day. Even if it does, SO WHAT?! This country has given you so much and now it’s time for you to give back by going to vote. Make a difference. 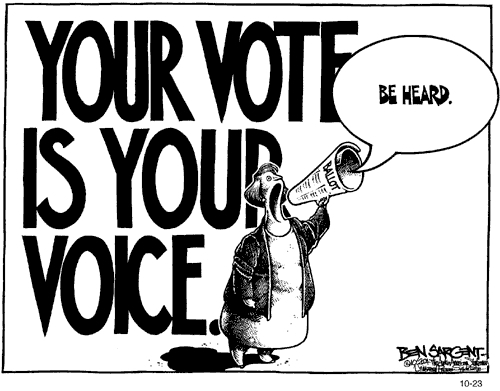 Your vote is your voice. Please go and vote on Monday.